Kale, coconut, teff, blueberries, Brussels sprouts, salmon, lentils. All are so-called superfoods, promoted by the media — and substantiated by science — as pretty darn healthy for their respective abilities to offer more nutrients, vitamins, antioxidants, fiber and potential disease-fighting benefits. Consumers aren't the only ones to benefit. Lentils, one of these superfoods, and actually all pulses, which includes garbanzo beans and dried peas, are good for the Earth and the economy, including that of Pullman where this weekend 30,000 people are expected to attend the 30th annual National Lentil Festival Food & Brew Fest. The festival is a family-friendly party featuring a wide mix of athletic activities — a golf tournament, bike ride, basketball tourney and the Tase T. Lentil Fun Run — along with kids' activities, live performances, market vendors, craft beer and wine and a parade through downtown. The event is also educational with a hands-on science area for kids, the Garbanzo Garden's interactive display (which includes a pool filled with garbanzos to play in) and a panel discussion about the history and future of pulse farming. The Lentil Festival dates to 1989, when an estimated 98 percent of the nation's lentils were grown on the Palouse, mostly in Washington, but also Oregon and Idaho. Since then, North Dakota and Montana have moved into the lead as top pulse producers, reporting significant increases in acreage planted and boosting the U.S. market share of a multibillion-dollar industry that's long been dominated by India, Turkey and Canada. According to the USA Dry Pea & Lentil Council, the greatest increases have been in the chickpea market, which more than doubled from 2015 to 2017. An annual highlight is Lentil Fest's 350-gallon bowl of lentil chili. All manner of pulses are featured at the free, two-day festival, including lentils of all shapes and colors, from nutty Lentilles du Puy, otherwise known as French lentils, to the yellow and red lentils typical of Indian cuisine. Visitors will also run into the small, black lentils sometimes called beluga lentils for their resemblance to caviar (served locally in Central Food's PNW Lentil Bowl). Festival food events include the Lion's Club lentil pancake breakfast (Saturday, 8 am; $4-$8) and 350 gallons of lentil chili prepared by WSU staff and students and dished up for hungry spectators (Friday, 5-8 pm; free). 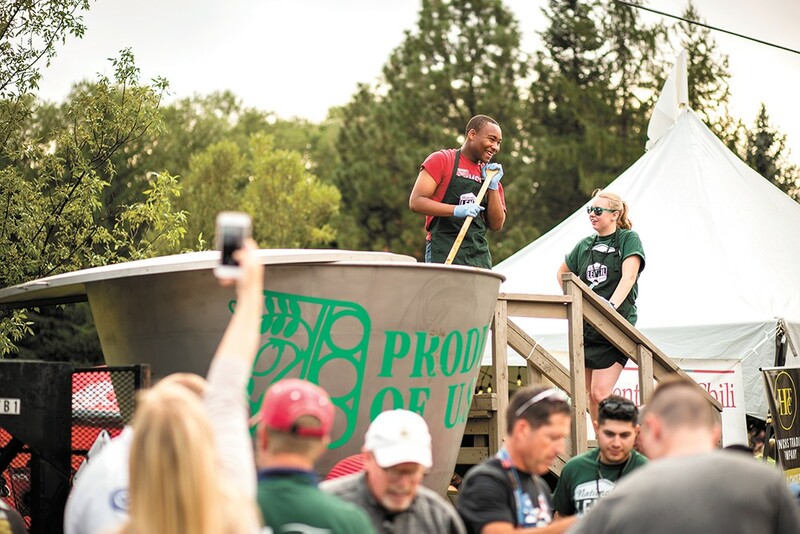 In 2014, the festival's lentil chili broke a world record for serving 500 gallons of the hearty stuff, earning the title of "world's largest" bowl. Three regional chefs also weigh in with cooking demos featuring pulses. Patty Brehm of Kitchen Counter in Moscow is giving garbanzo beans a Mediterranean spin with her dish combining smaller, Spanish-style garbanzos, also known as chickpeas, with roasted lemon, olive oil, sea salt and roasted seasonal vegetables. "I want to highlight the taste of chickpeas, not hide them," says Brehm, who formerly managed the Moscow Food Co-op. Another popular event is the lentil cook-off contest (Saturday, 3 pm), which this year showcases five national finalists selected from 100 applicants who will compete with dishes like cinnamon lentil mini-pies, baked lentil empanadas and Seattle-style lentil salmon bowls. "Lentils are an interesting legume," says festival director Brittnee Packwood. "They really adapt to any flavor you're cooking with." The popularity of pulse crops with farmers goes beyond their obvious market value as a consumable good; they are also grown as a "cover crop," planted after the harvest of or in rotation with other crops. Depending on the plant — clover, ryegrass, mustard greens, legumes, lentils — cover crops can help protect bare soil, retain water, deter weed growth and even revitalize the soil. Pulse crops are typically grown in rotation with cereal grains, like wheat, and uniquely trap vital nitrogen for the soil, offering much more than what they need to sustain themselves and leaving plenty for the hungry wheat plant. That in turn reduces the need for conventional fertilizers. Lentils also have the distinction of creating a tiny carbon footprint, which is the amount of greenhouse gasses, specifically carbon dioxide, emitted during the production of something. Animal protein sources such as livestock and poultry, understandably, have a higher carbon footprint than plant-based proteins. When protein matters, pulses are nutritional powerhouses. They offer 9 grams of protein for a half-cup serving, whereas a 1-ounce portion of beef, pork, poultry or fish typically offers 7 grams. 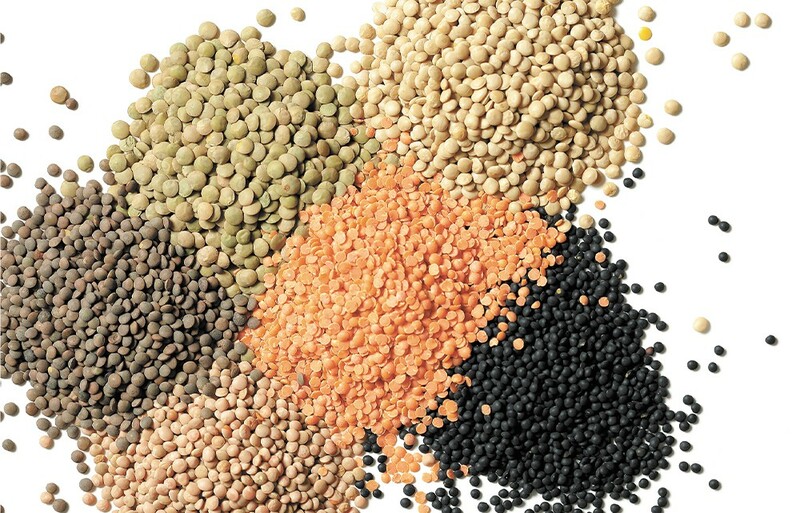 When finances or dietary choices matter, pulses are an extremely low-cost source of protein. According to World Resources International's comparison of average U.S. retail prices in 2013, lentils cost 0.9 cents per gram, while eggs were three times that at 2.7 cents per gram and beef weighed in at 4.4 cents per gram. Even so, some people are surprised that pulses are such an important part of our region, says Brehm, who almost always serves a dish involving lentils or chickpeas at Kitchen Counter. The original print version of this article was headlined "Super Food Weekend"